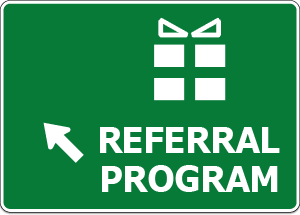 In the previous post we discussed the basic guidelines for promoting your referral program to the customers. But no best practice or creative idea stands on its own. Capturing its full potential will most likely take you at least a few rounds of measurement and optimizations. If you are using InviteBox, you can rely on the two metrics we provide for that: “Widget impressions per pageview” and “Posts per widget impression”. The former indicates how likely the users are to open the widget after viewing the page that contains it. If the InviteBox button is a part of your referral program teaser, then it would be the main indicator of the teaser efficiency. To continue the banner analogy, this metric is akin to CTR. In this case, the efficiency of both teaser placement and content will reflected in the value. If you have a separate page describing your referral program with InviteBox button placed on that page, then this metric is an indicator of how efficient is the page in getting people to participate. The latter metric is the percentage of users who went on to participate in the referral program (make a post) after opening the widget. It’s a strong indicator of how convincing the text in the widget is. There are no universal values you can benchmark your metrics against, since every campaign is very different, though in many cases you can aim to get close to 1.0 on “Posts per widget impression”. These numbers, however, can be highly instrumental in judging the effect of the changes you make to your campaign. Finally, if you are struggling with applying the above advice, please, please, please don’t hesitate to request our help! We have most definitely spent more time thinking about referral programs than you ever will, we really want your referral program to be successful and we are just one email message away. Use that!